In its usual fashion, Digital Juice has chosen to enter the gear protection and transport arena with two fantastic new products that offer a sharp, professional look along with a fit and finish that outshines any bag on the market today. 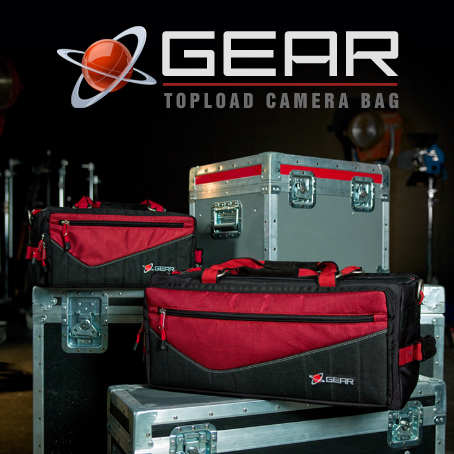 These bags offer safe, organized and contemporary-looking storage and protection for your broadcast video, DSLR or HD DSLR cameras and gear. The high-quality materials, rugged construction, ease of use and maximized utility space make them an essential part of your complete production kit. The Digital Juice Standard Topload Camera Bag is perfect for HD DSLR up to mid-size camera units like the Panasonic HVX200 series. While lighter than any other leading industry bag, the Digital Juice Large Topload Camera Bag is engineered without compromise on quality. It is designed for full-size broadcast cameras but is also perfect for smaller size cameras with added space for tons of accessories. 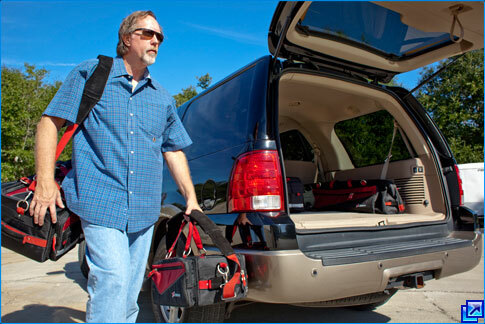 The durable lightweight plastic-reinforced frame in both size bags provides flexible and stable protection in an easy-to-carry profile and allows the bags to be safely stacked or stored on top of one another without risk of damaging the gear inside. The Velcro-attached foam-padded internal dividing system provides soft and reconfigurable protection and organization, cradling your camera and keeping it from moving around in the bag while protecting it from the knocks and shakes of constant travel. Provides a flexible structure to cushion and protect -- one long and two short padded spacers allow you to create up to 4 cavities for gear. Sturdy construction materials means superior and longlasting protection for your camera gear on the road and in the studio. 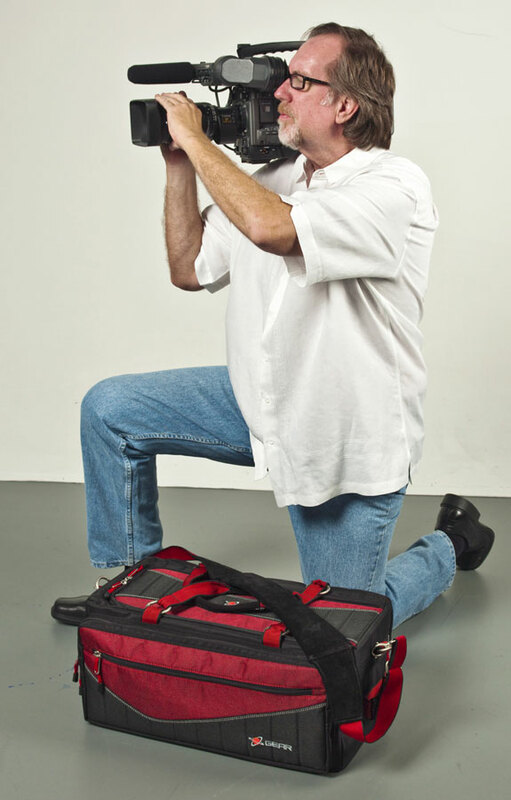 The Digital Juice Camera Bag looks and acts professionally. It's unique styling and high quality construction will make it stand out, but its rugged functionality and ease of use will make it an essential part of your production kit. 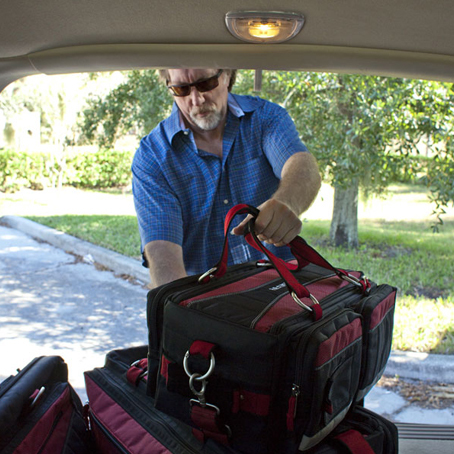 Lots of room to carry smaller additional gear like batteries, filters, lens wipes, notepads, portable hard drives, etc. Who is the Digital Juice Camera Bag designed for? 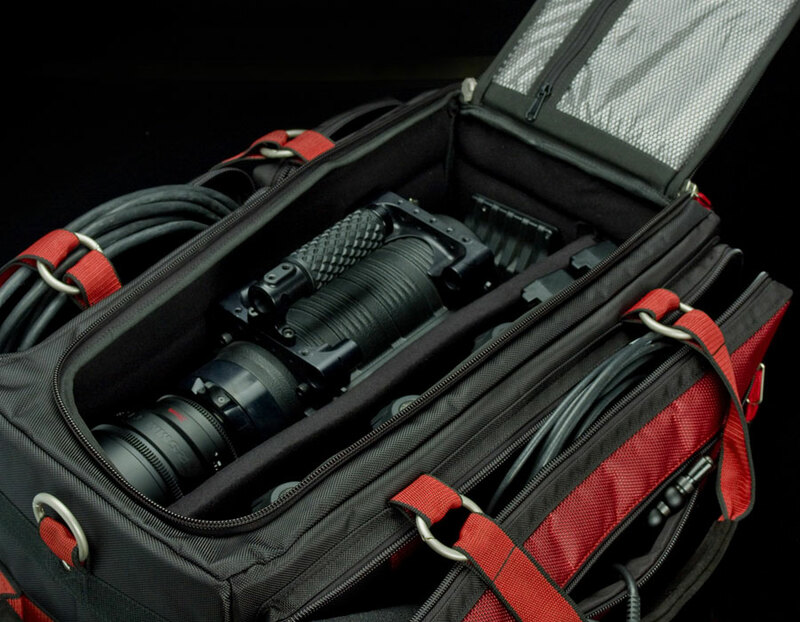 These bags are designed for anyone who needs to transport and store prosumer and broadcast-level cameras and accessories, whether they use the gear professionally or as a serious hobby. 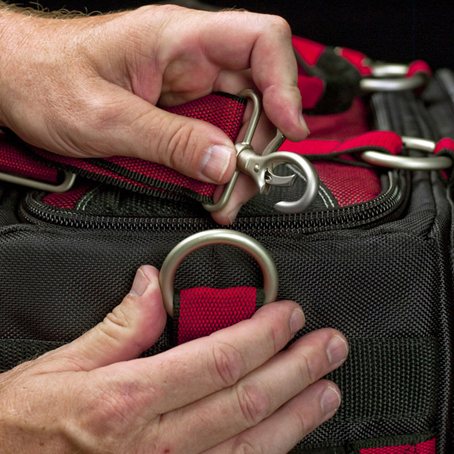 What kinds of cameras and equipment will fit in this bag? Both bags will support prosumer level cameras such as the Sony EX1R, NX5U, Z1U or Z5U; the Panasonic HVX-200 and HMC-150; the Canon GL2, or XL2 as well as most DSLRs with a full lens array. 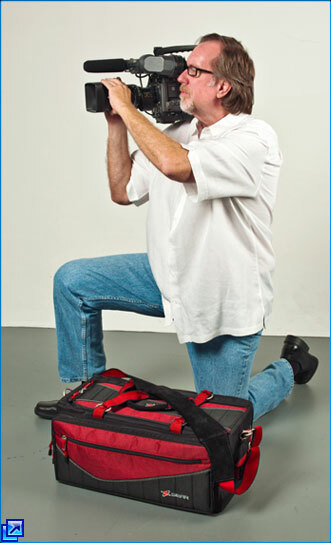 The Large Topload Camera Bag will also fit a full size broadcast camera. Is this bag small enough to count as a carry-on bag when I fly? Yes. Both bags fit perfectly in most airline overhead carry-on bins. 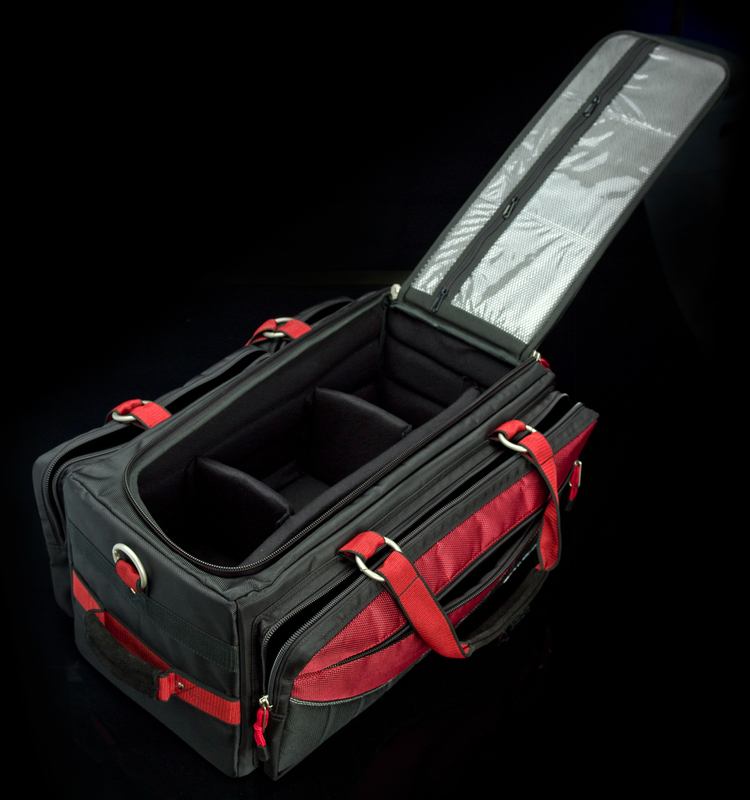 What sets the Digital Juice line of camera bags apart from other similar products on the market? While lighter than other leading industry bags, the Digital Juice Topload Bags are engineered without compromise on quality. Their sharp professional styling along with their rugged construction and maximized utility space make them an essential good-looking part of any complete production kit. The heavyweight nylon fabric used in Digital Juice Camera Bags has an excellent tear strength and is very abrasion resistant. 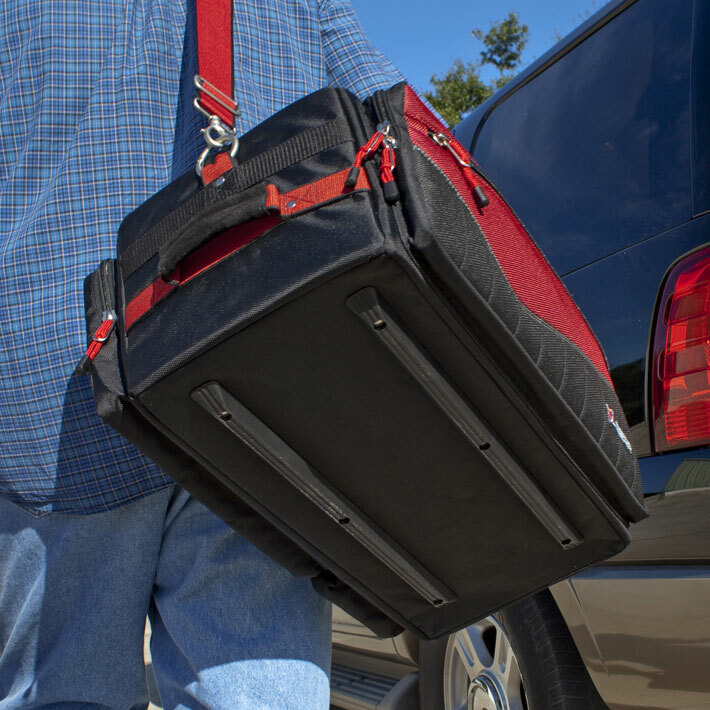 Plus, the polyurethane coating provides a waterproof layer between your gear and the elements so you can breathe easy and be assured your equipment will be safe when you travel. The 5mm plastic sun board used to reinforce the base and top zippered lid is impact resistant and free from heavy metals. It provides lightweight, sturdy protection, additional water resistance and stackability. 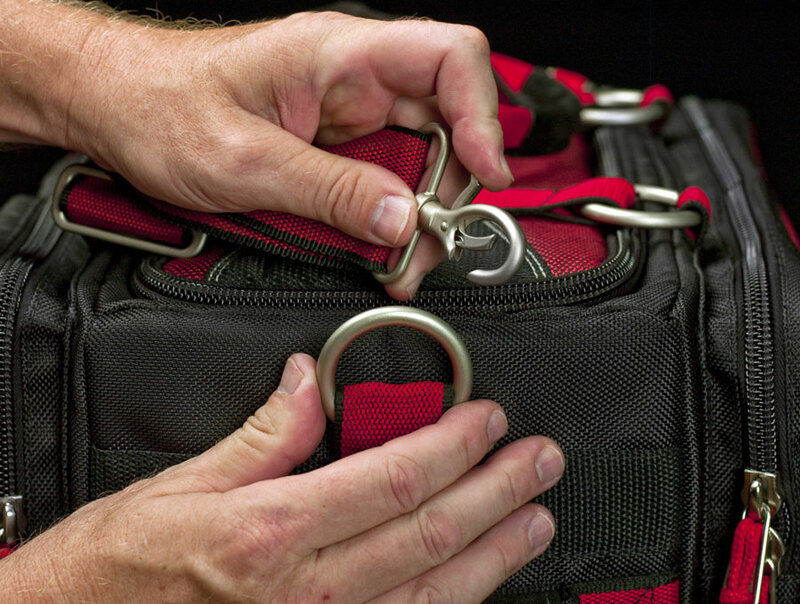 The 1" thick foam-padded internal dividing system provides soft reconfigurable protection and organization for your gear. 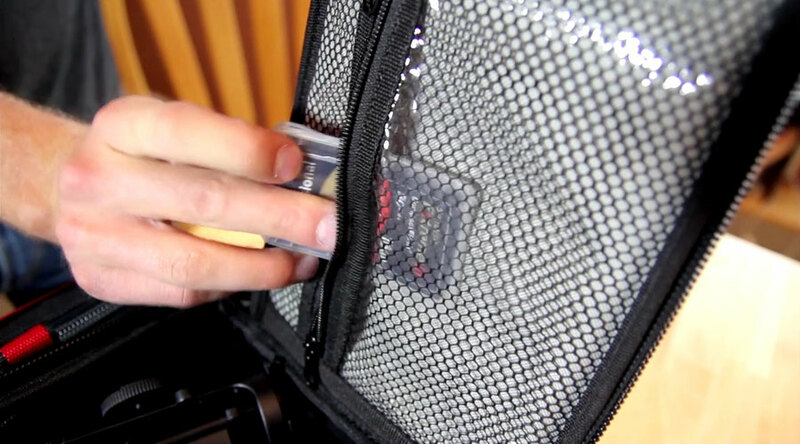 The velcro-attached spacers cradle your camera and other equipment to keep them from moving around within the bag, while protecting them from the knocks and shakes of constant travel. 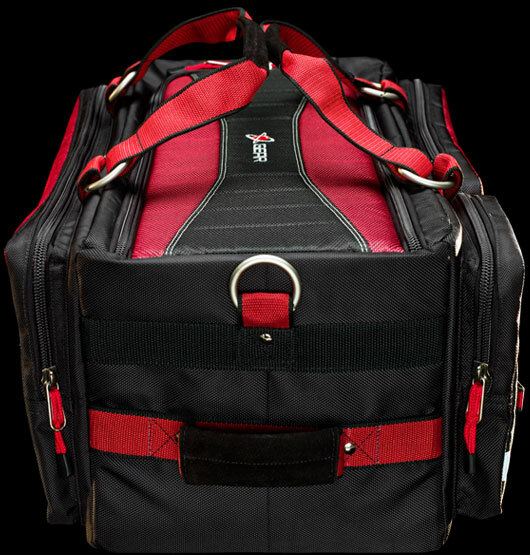 Sturdy cushioned, reinforced flap lid unzips, opens wide and folds back out of the way for easy access to the contents of the bag. 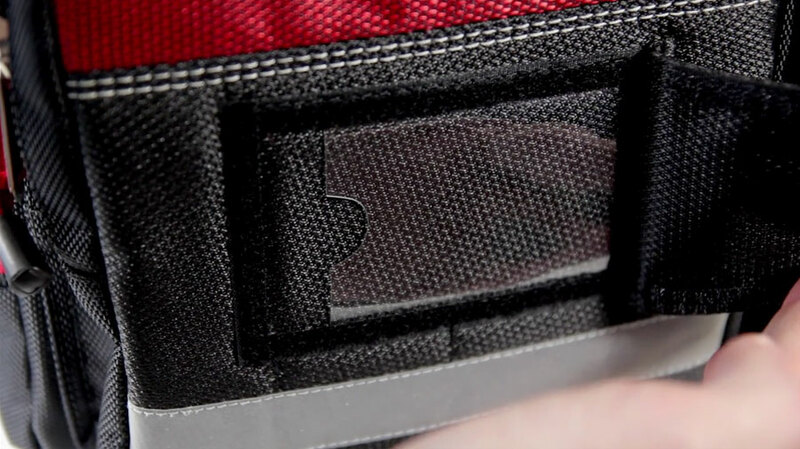 The two mesh laminated zipper pockets on the inside of the top lid flap provide quick and visible access to small items such as filters, lens wipes, memory cards and tools. The bags feature three different carry options: permanent leather cushioned cargo carry handles at each end; a quick-release double stitched padded suede shoulder strap which attaches to the bag at each end via a heavy-duty dog hook and helps cushion and distribute the weight of the bag when carried over the shoulder; and -- a first for a premium line camera bag -- detachable top carry handles, which attach and detach from the bag with high quality easy open ring buckles. 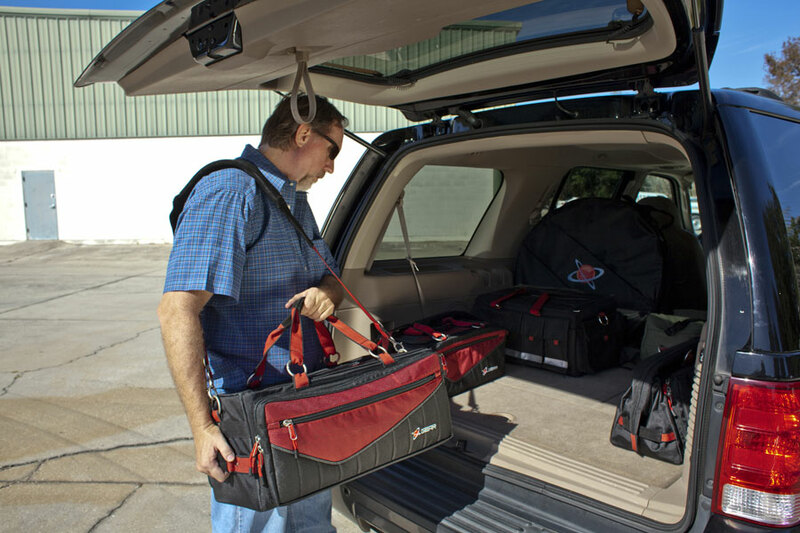 Four roomy storage pockets allow ample space for batteries, tapes, media cards, hard drives, cables, monitors, wireless mics, and notebooks. Just about any accessory you'll need to carry along with your camera can be easily carried in these bags. 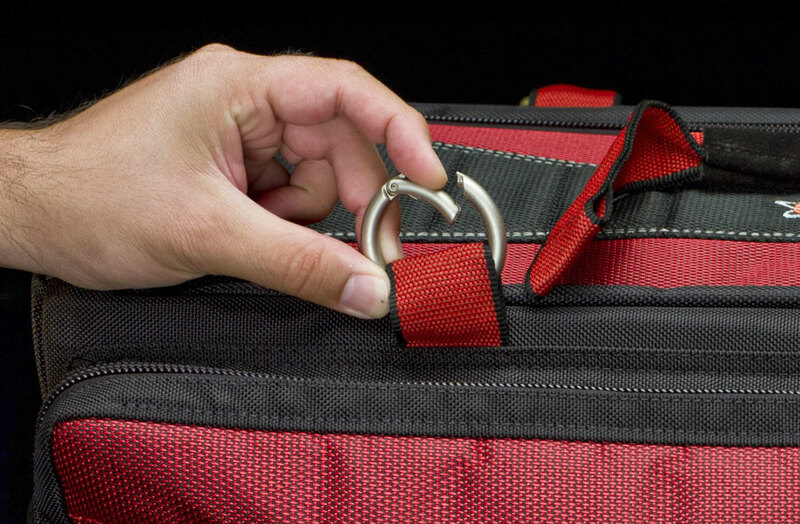 A large front zippered compartment pocket lets you easily access items such as travel documents, pens, phone, money, etc without disturbing your gear. 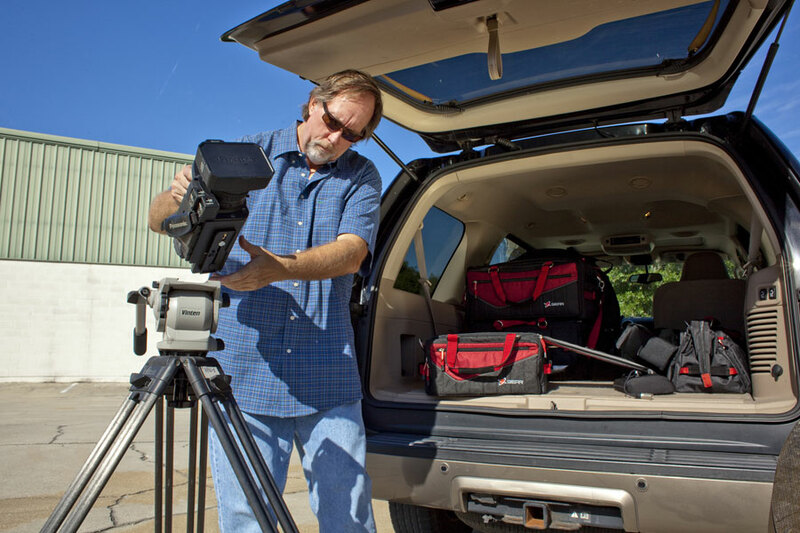 Whether in the studio or on location, the Digital Juice Gear line of Camera Bags is designed to protect and transport your cameras and gear while looking professional and stylish. 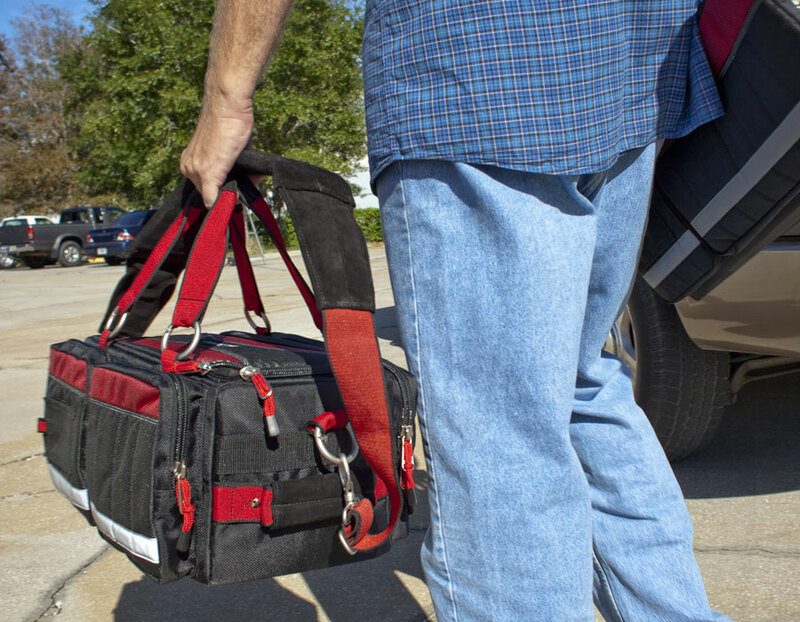 The light weight and sturdy construction of these bags means you can carry as much equipment with you as you need without worrying about being overburdened or damaging your gear. 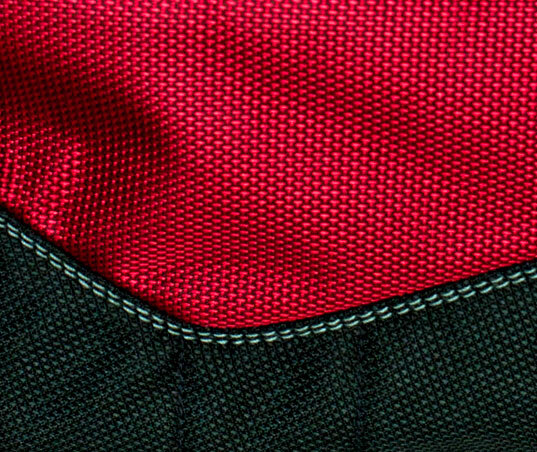 Interior Dimensions of 21.5" x 10.5" x 8.5" and Exterior Dimension of 23" x 15" x 10"
In its usual fashion, Digital Juice has chosen to enter the gear protection and transport arena with this fantastic new product that offer a sharp, professional look along with a fit and finish that outshines any bag on the market today. 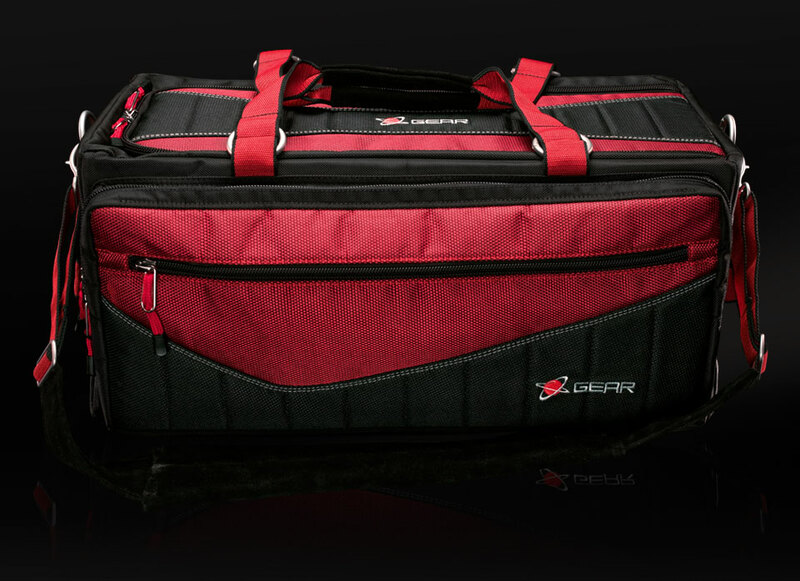 These bags offer safe, organized and contemporary-looking storage and protection for your broadcast video, DSLR or HD DSLR cameras and gear. The high-quality materials, rugged construction, ease of use and maximized utility space make them an essential part of your complete production kit. 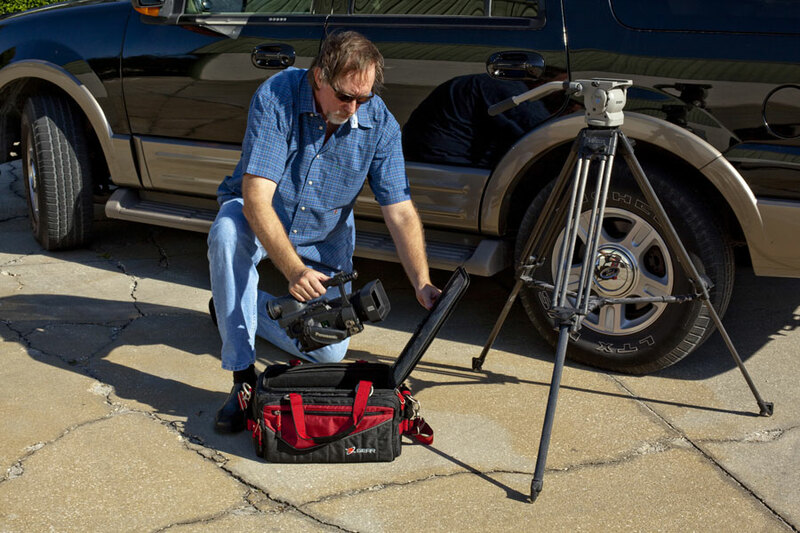 The Digital Juice Large Topload Camera Bag is perfect for full-size broadcast cameras but is also perfect for smaller size cameras with added space for tons of accessories and is engineered without compromise on quality. 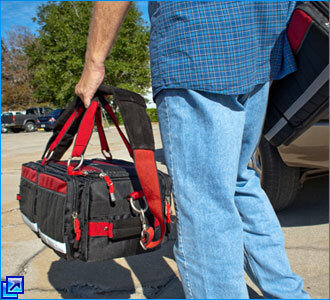 The durable lightweight plastic-reinforced frame in th bags provide flexible and stable protection in an easy-to-carry profile and allows the bag to be safely stacked or stored on top of one another without risk of damaging the gear inside. 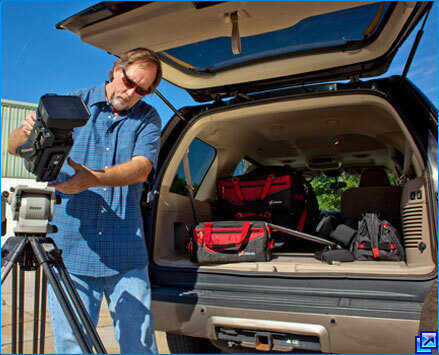 The Velcro-attached foam-padded internal dividing system provides soft and reconfigurable protection and organization, cradling your camera and keeping it from moving around in the bag while protecting it from the knocks and shakes of constant travel. 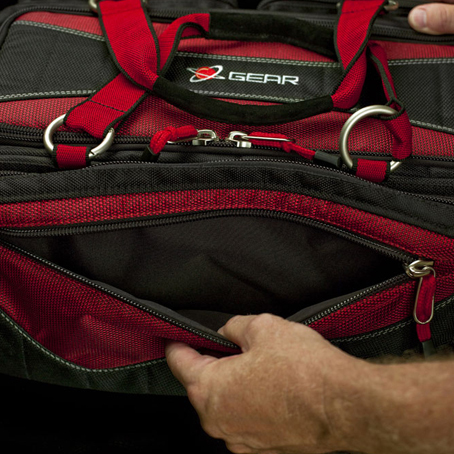 Foam-padded internal dividing system with reconfigurable Velcro attachment strips Provides a flexible structure to cushion and protect -- one long and two short padded spacers allow you to create up to 4 cavities for gear. Exterior is constructed and sewn with sturdy nylon thread, rugged waterproof nylon fabric, thick nylon web straps, heavyweight YKK zippers, strong woven nylon cord pulls, and soft suede handle grips Sturdy construction materials means superior and longlasting protection for your camera gear on the road and in the studio. Casual good-looking style with pro-level function and performance The Digital Juice Camera Bag looks and acts professionally. It's unique styling and high quality construction will make it stand out, but its rugged functionality and ease of use will make it an essential part of your production kit. 5 external and 2 internal accessory pockets Lots of room to carry smaller additional gear like batteries, filters, lens wipes, notepads, portable hard drives, etc. The heavyweight nylon fabric used in Digital Juice Camera Bag has an excellent tear strength and is very abrasion resistant. 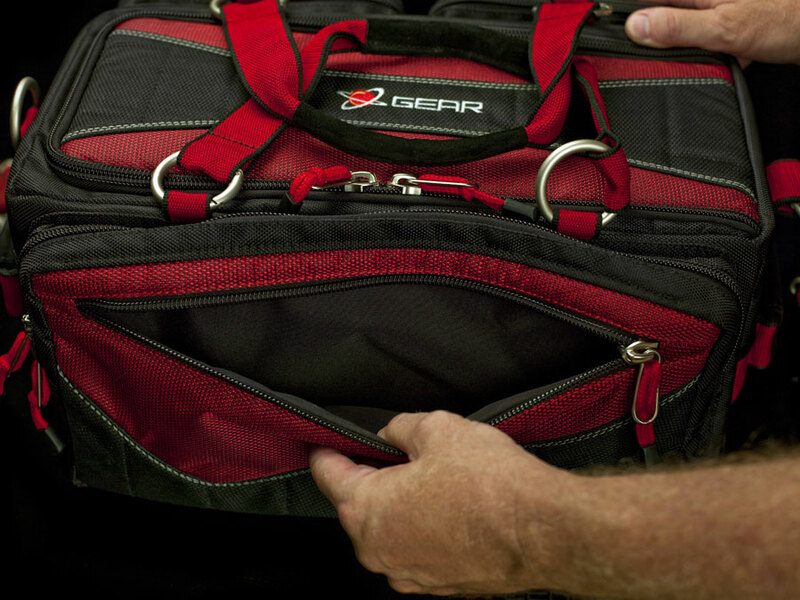 Plus, the polyurethane coating provides a waterproof layer between your gear and the elements so you can breathe easy and be assured your equipment will be safe when you travel. The bag feature three different carry options: permanent leather cushioned cargo carry handles at each end; a quick-release double stitched padded suede shoulder strap which attaches to the bag at each end via a heavy-duty dog hook and helps cushion and distribute the weight of the bag when carried over the shoulder; and -- a first for a premium line camera bag -- detachable top carry handles, which attach and detach from the bag with high quality easy open ring buckles.